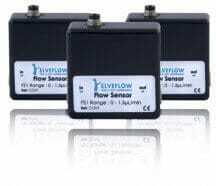 The Sensor Reader is an interface allowing the acquisition of many kinds of analog sensors, including Elveflow pressure sensors and flow sensors. 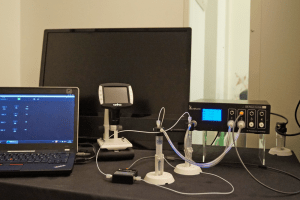 The Sensor Reader can be used to monitor flow rate, pressure, or other physical parameters on any type of flow control instrument (syringe pump, peristaltic pump, perfusion, pressure controller). 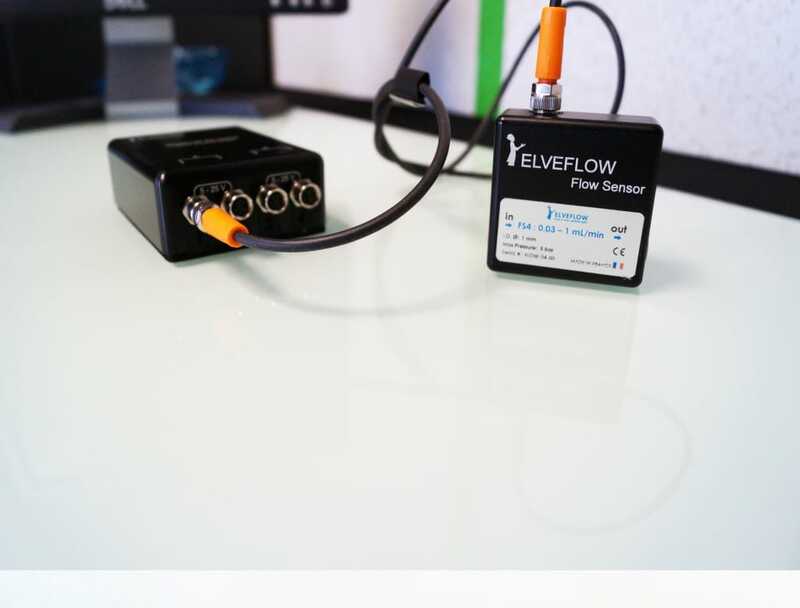 Connect the Sensor Reader to your computer via USB and monitor measurements of your sensors using the Elveflow® Smart Interface. 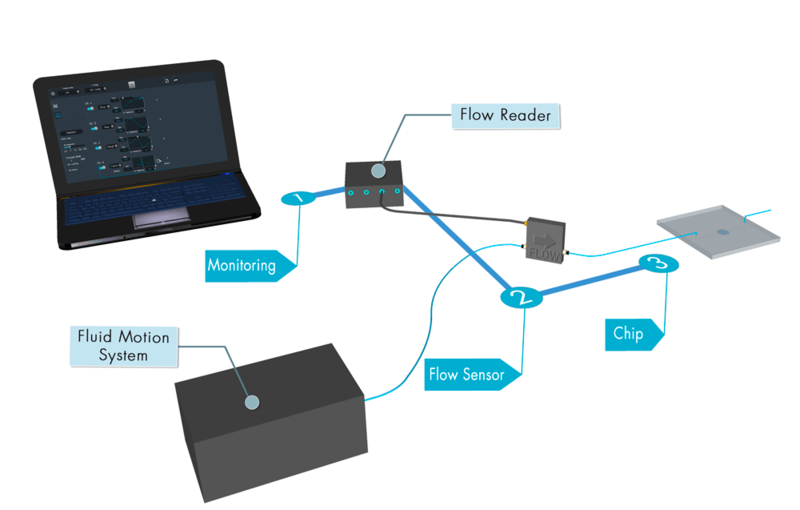 In addition to monitor, the Elveflow® Smart Interface also offers functions to control OB1 pressure controlers in response to the measured values on your sensor (using a feedback loop). 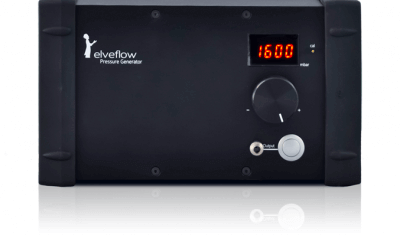 This allows a real-time control of a pressure or a flow rate anywhere in your microfluidic setup. 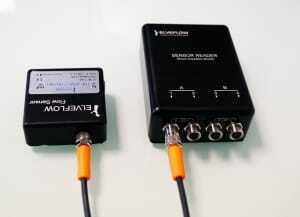 The Sensor Reader embeds two independent power supplies which allows the use of a wide variety of sensors simultaneousy, functionning with different voltages for their power supply. 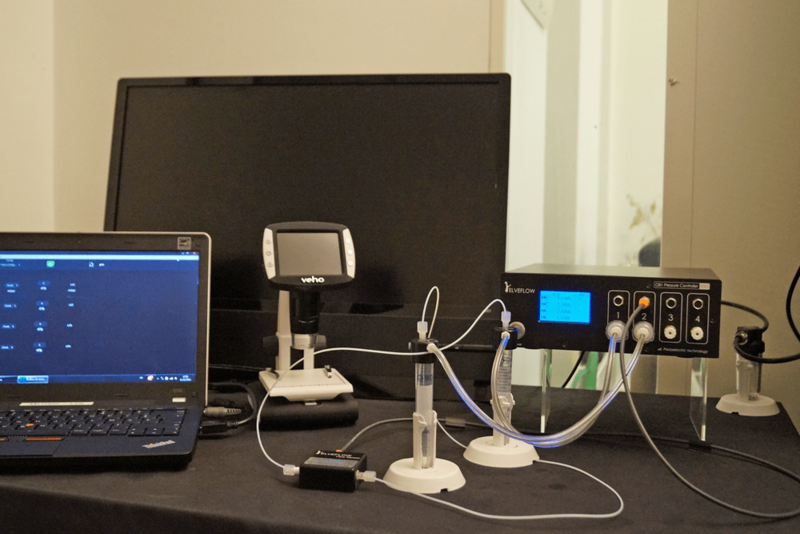 You can have the sensors (pressure, flow rate,…) wherever you want in the setup in order to monitor your microfluidic experiment. The Sensor Reader module allows you to control 4 sensors simultaneously via our software and you can use several Sensor Readers if you need. 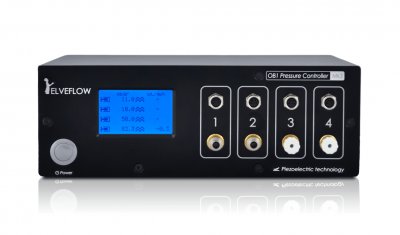 It is an ideal supplement of the OB1 flow controller if you need to control all your experiment parameters. 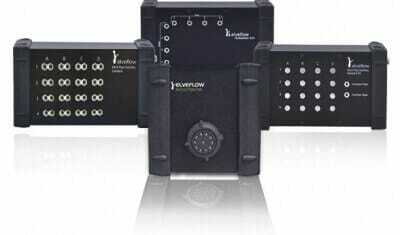 Benefit in an optimal manner from the performance of Elveflow® Sensors with the Sensor Reader acquisition interface. 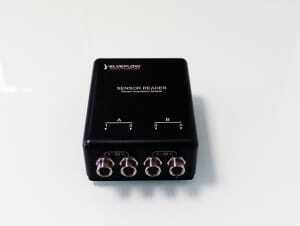 The open interface Sensor Reader also allows you to use third-party sensors. 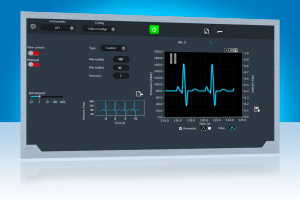 With an acquisition sampling rate of up to 100 Hz and a 11 bit resolution, the Sensor Reader enables you to easily conduct experiments involving monitoring or controlling a physical parameter with analog sensors in real time . 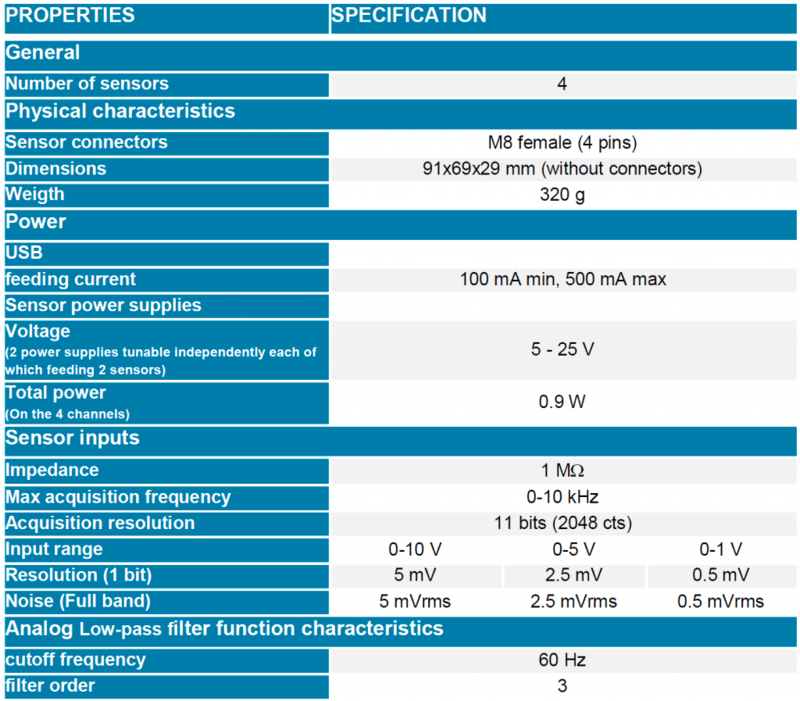 Sensor Reader embed two independent power supplies ranging from 5 to 25 V (one for the channels 1-2, one for the channels 3-4). 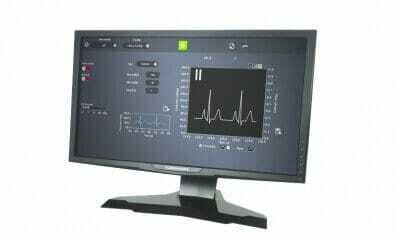 This allows the use of a wide variety of sensors functionning with different voltages for their power supply. 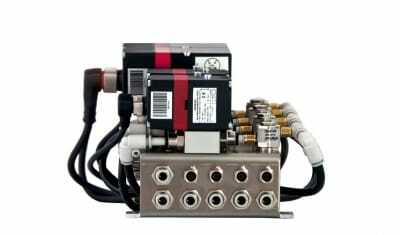 Thus, up to four sensors working with 2 different voltages for their power supply can be monitored simultaneously. 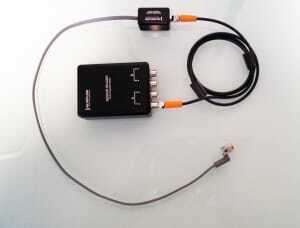 An embeded analog 60 Hz low pass filter function can be activated on each channel independently to reduce sensor noise. Our Smart Interface enables you to control your setup after a few minutes of training. 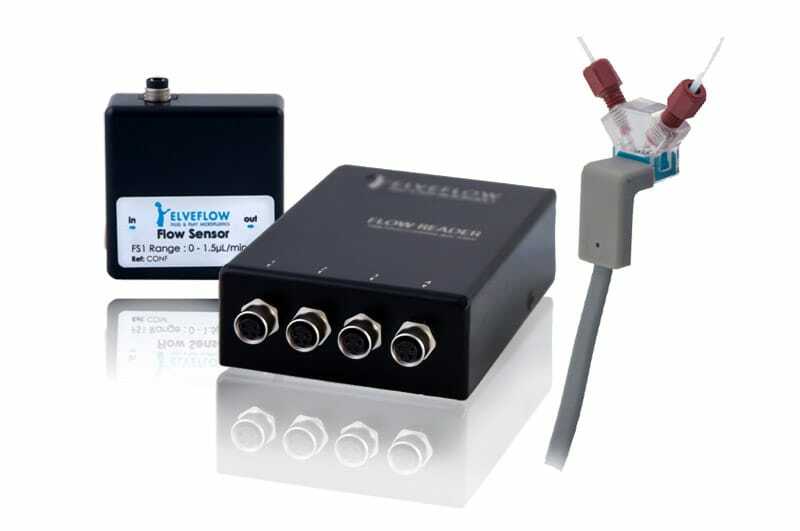 Sensor measurements can be monitored in real time simultaneously with measurements of other Elveflow® apparatuses. Data can be logged and measurements can be used in interaction with other apparatuses to make feedback loops. 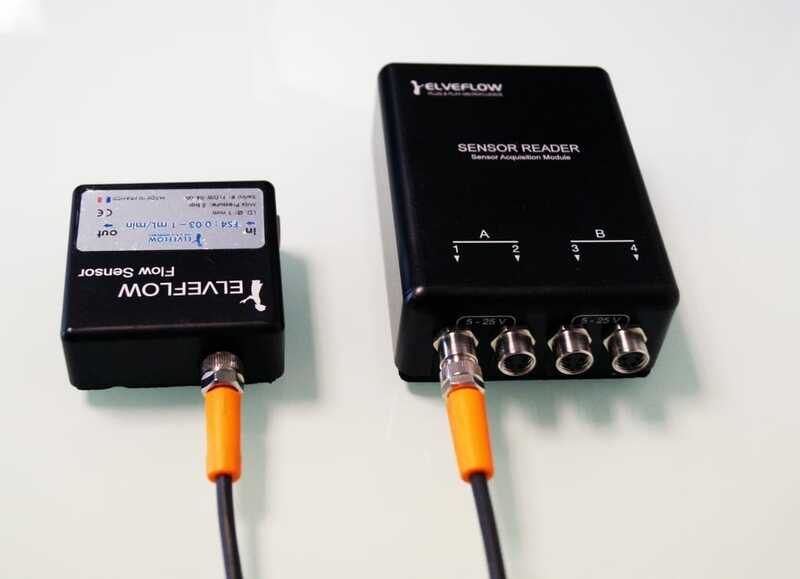 Our Sensor Reader achieveS a 11 bits resolution at up to 100 kHz sampling rate and a sub-resolution noise, for accuracy levels on your sensor measurements down to 0.05% of the full scale and response times down to 0.1 ms.
We have already selected a wide range of sensors fitting microfluidics and perfectly integrated. 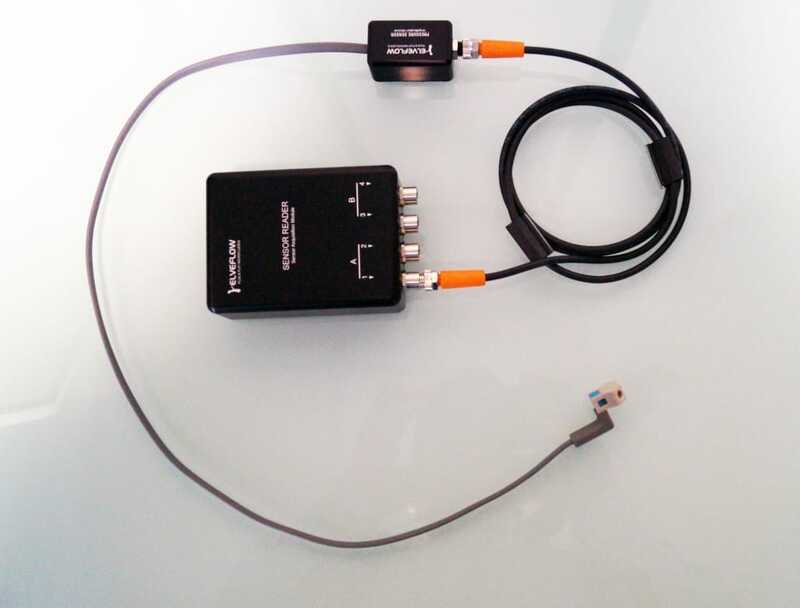 All our liquid sensors are furnished with an M8 electrical connection and can be used with the Sensor Reader. 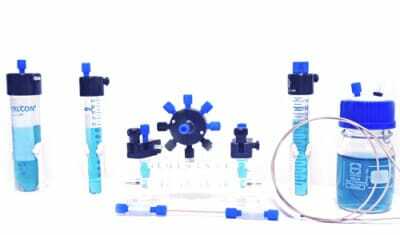 We also provide all the microfluidics connectors kits necessary to start your experiment instantaneously. 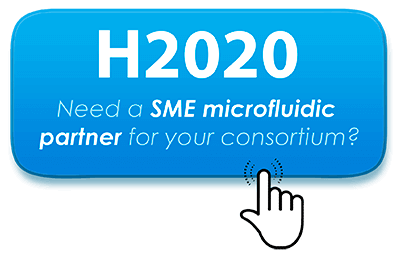 You can plug our liquid flow sensors anywhere within your microfluidic setup, record the flow rate on your computer and adjust the flow using our pressure pumps. 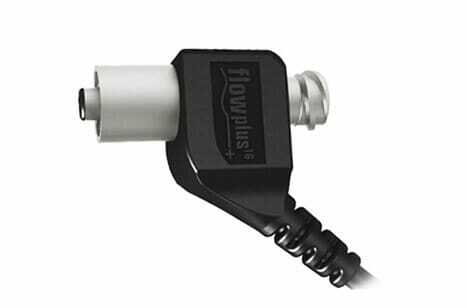 Our flow sensors can be plugged directly into our standalone flow reader. High accuracy flow through and dead volume as small as 7.5 µL. 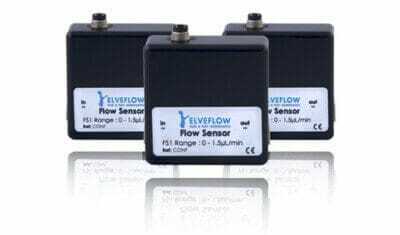 Our liquid pressure sensors are furnished with an M8 electrical connection and can be used with the Sensor Reader for pressure monitoring in the Elveflow® software. 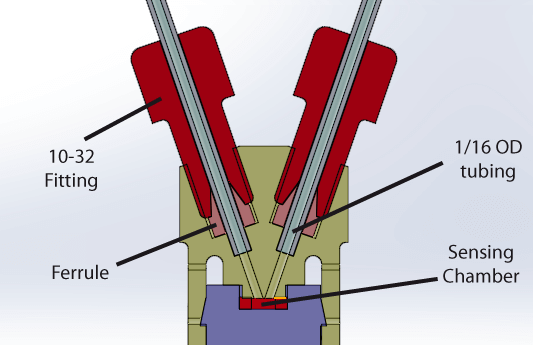 Flow-through pressure sensors adapted to gas or liquids, and compatible with the Luer-lock standard. FDA-certified and therefore, suitable for food industry use. Easy to clean, excellent chemical resistance, maintenance free. 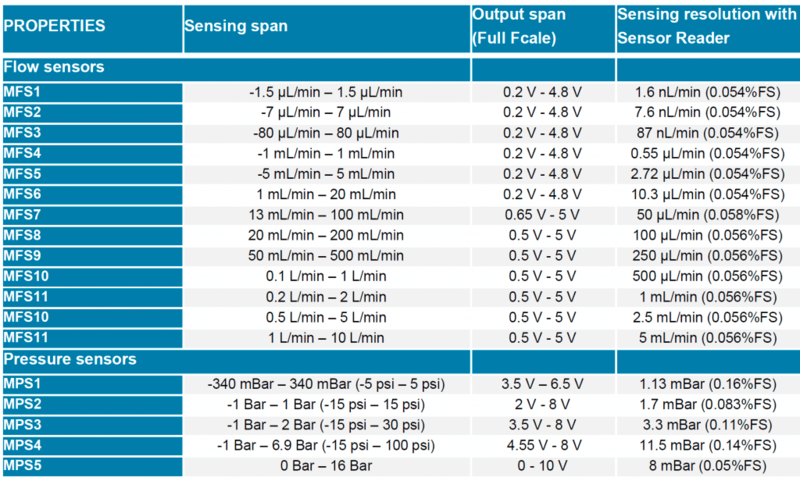 The following table summarizes the main features of the Elveflow® MSR Microfluidic Sensor Reader. 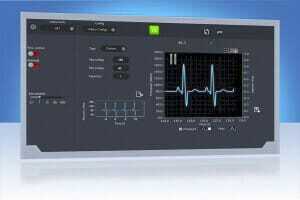 Control your experiments through C, Python, Matlab®, Labview® or Elveflow® Smart Interface. 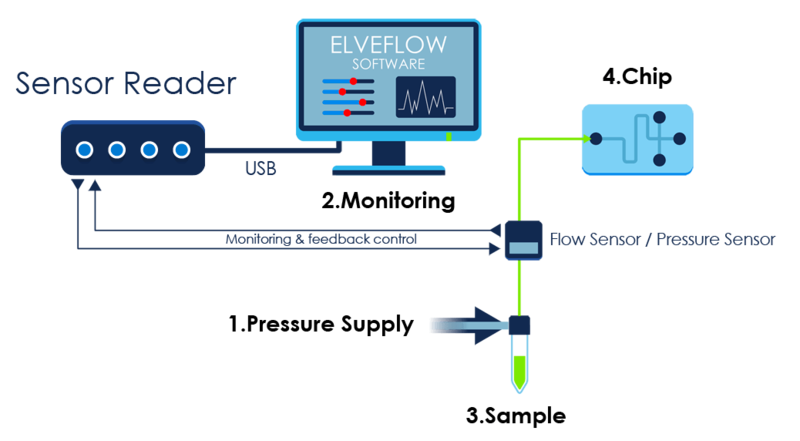 The Elveflow® Smart Interface is a software application offering all the functionalities that microfluidicists need. 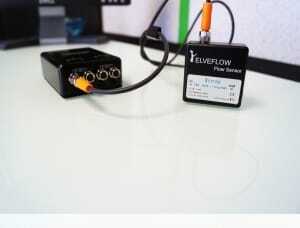 Connect the flow reader to your computer via USB and monitor the flow rate using the Elveflow® Smart Interface. 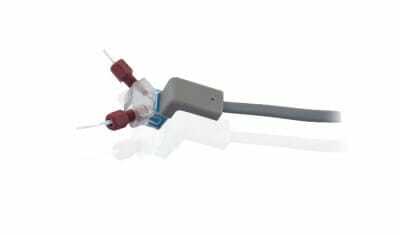 Place the flow sensors anywhere you want on your fluidic path and electrically connect flow sensors to your flow reader. 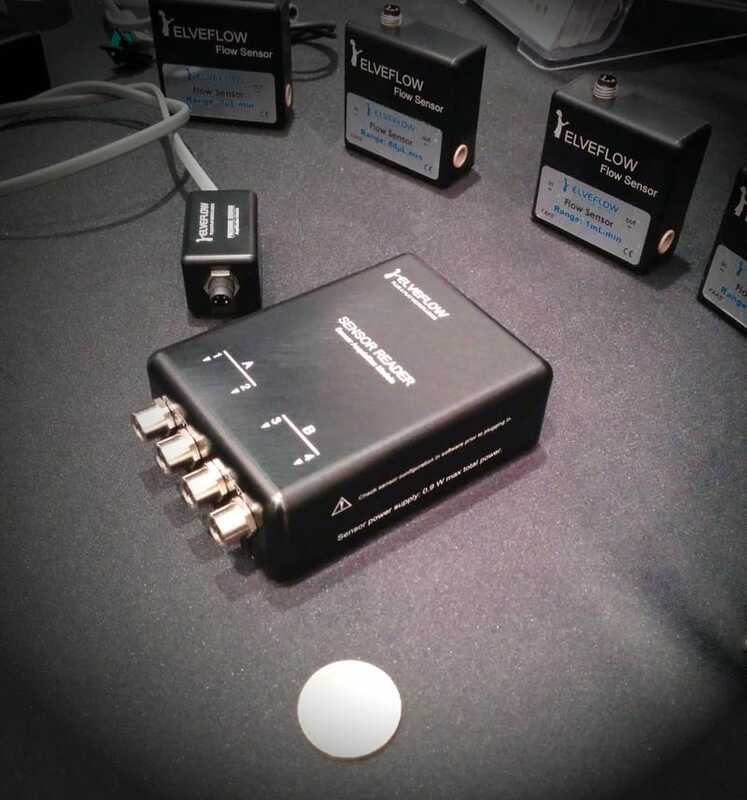 Thanks to their small footprint, flow sensors can be put anywhere within your fluidic system.